Stocks ended last week mixed on earnings that were largely better than expected, though the tech sector disappointed. For the week, the S&P 500 gained 0.52%, the Dow grew 0.59%, and the NASDAQ lost 0.65%. First-quarter earnings reports drove a lot of market activity last week. Though analysts expect overall S&P 500 earnings to be negative for the fourth quarter in a row, the news so far is more about earnings surprises and fewer negative revisions to estimates. Given how low the bar was set by many corporate teams, it's not so unexpected to see positive surprises. With reports in from 132 S&P 500 members, overall earnings are down 7.9% on 1.1% lower revenues, though nearly three-quarters beat their earnings estimates. However, the tech sector is another story. Tech stocks sold off after disappointing results from major players. 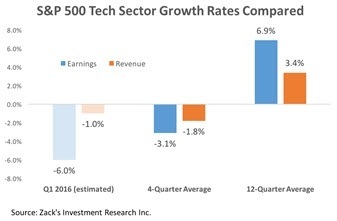 Overall, much of the tech sector is painting a picture that is the inverse of the rest of the market - many companies are failing to rise to the expectations built over previous quarters of strong growth, disappointing investors. Will investors hold on to their optimism in the days ahead? We'll see. The week ahead is packed with important economic data, including the first estimate of first-quarter economic growth and a measure of consumer sentiment. The Federal Reserve Open Market Committee also meets next week to discuss interest rates; though no one expects the Fed to raise rates this month, analysts are hoping for more clarity on the timing of future hikes. Last week, a Reuters poll of economists found that about two-thirds expect a June rate increase while another 20% are betting on September. 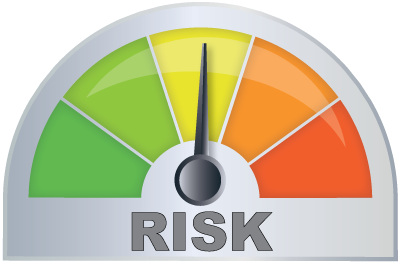 In March, the Fed acknowledged its concerns about global risks, stating that it expects two more rate hikes this year, only half as many as were planned in December. Earnings season also heats up next week with releases by 183 S&P 500 companies. By the end of the week, we'll have seen quarterly results from about 60% of the index and will have a much more complete picture of business activity last quarter. With all the reports coming out, we can expect some volatility in the days ahead as investors digest the latest data. Housing starts drop. Groundbreaking on new houses dropped 8.8% in March, and permits for new home construction fell, indicating that homebuilders are expecting the sector to cool off. Existing home sales bounce 5.1% higher. Resales of existing homes rose more than expected in March, suggesting that the housing market had legs last quarter. Though monthly sales are volatile, growth was solid across all four U.S. regions. Jobless claims drop to multi-decade low. The number of weekly applications for new unemployment benefits dropped to the lowest level since 1973 in the latest sign that the labor market is steaming ahead despite slow economic growth. Oil prices post third week of gains. Benchmark crude oil prices rose again last week on expectations that the global oil supply glut is easing and demand will rise in the peak driving season.